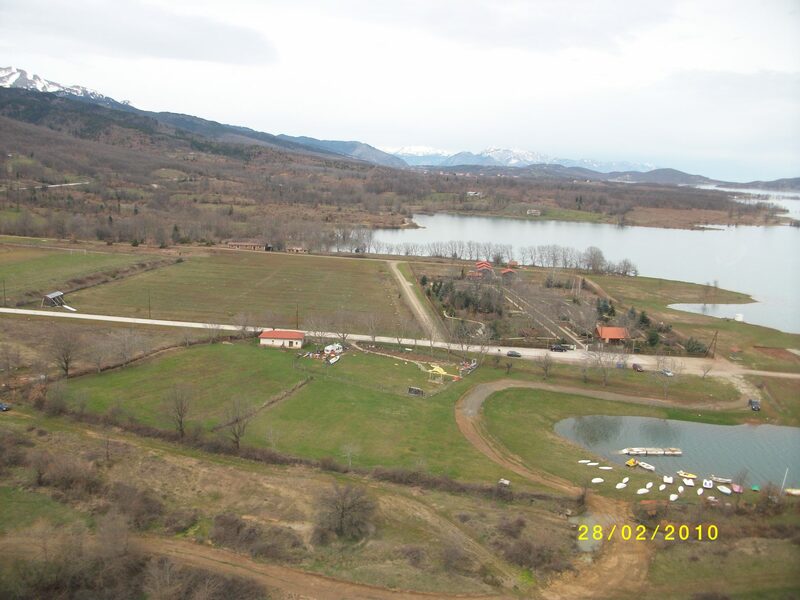 In the effort for the sustainable management and environmental protection of the Lake Plastira region, a new and innovative infrastructure was created, unique for a mountainous region characterized by a noteworthy natural terrain and a shrinking population. This effort was funded by the LIFE Program and the Operational Program “Environment”. 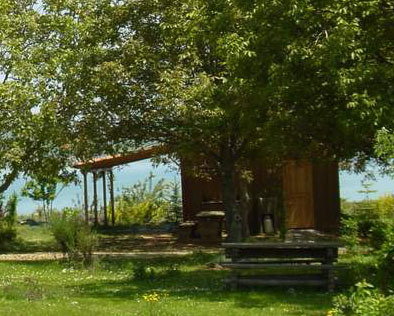 The Botanical Garden at Neochori is situated inside the protected area (“Eco-development area”) of Lake Plastira, within the administrative boundaries of the Municipality of Nevropolis Agrafa. 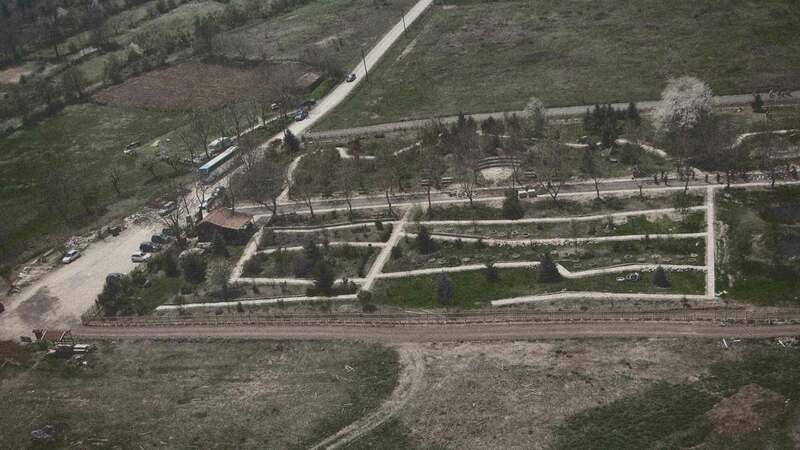 It covers 2.5 acres, 33km from the city of Karditsa. The garden was established in 1998 and remains in operation to this day. 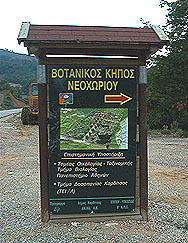 The purpose of its establishment was to gather and stockpile part of the flora elements of the region at large, and of the Greek territory in general, and to create an environmental infrastructure in the lake area to provide information and training to the public regarding this flora, the local ecosystems, and environmental protection. The garden’s operation also involves the implementation of model educational programs for young people interested in volunteer or professional activities regarding the natural environment. 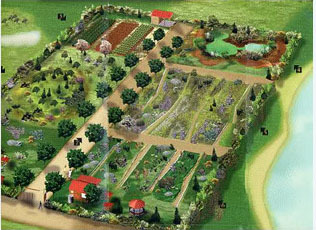 The garden’s plant “kingdom” includes areas of underbrush, wetlands, nurseries with lime trees and pines, herbs, aromatic and floriferous plants. 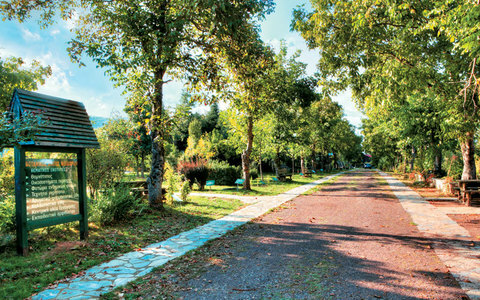 In discreet sections of the garden, appropriately arranged and marked, visitors can observe or even study plant species characteristic of the area, be informed about environmental data (flora catalogue), and generally discover the rare “landscape variety” with the harmonious succession of water and forest systems. In other sections of the garden there are representative species of Greek flora, as well as epigenetic species that have fully adapted to the environmental conditions of the Greek terrain. Nature’s pharmacy offers its wisdom to visitors, with herbs and plants such as artichoke, whitethorn, achillea (yarrow), hippophaes (sea-buckthorn), and many other rare medicinal plants for every occasion. Both the botanical garden and the Environmental Education Center of Neochori offer extensive information for the terrestrial, forest, and lake ecosystems, providing tours and training sessions for schools and organized groups. 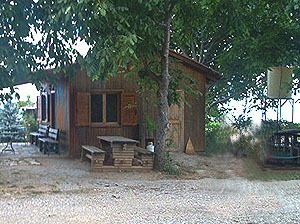 the Technical Educational Institute of Forestry in Karditsa. The garden is open to visitors daily from 10am to 1pm and from 5pm to 8pm. Here visitors can also purchase aromatic and medicinal herbs, enjoy coffee or refreshments and home-made desserts. Eighteen (18) plants are endemic to Greece. 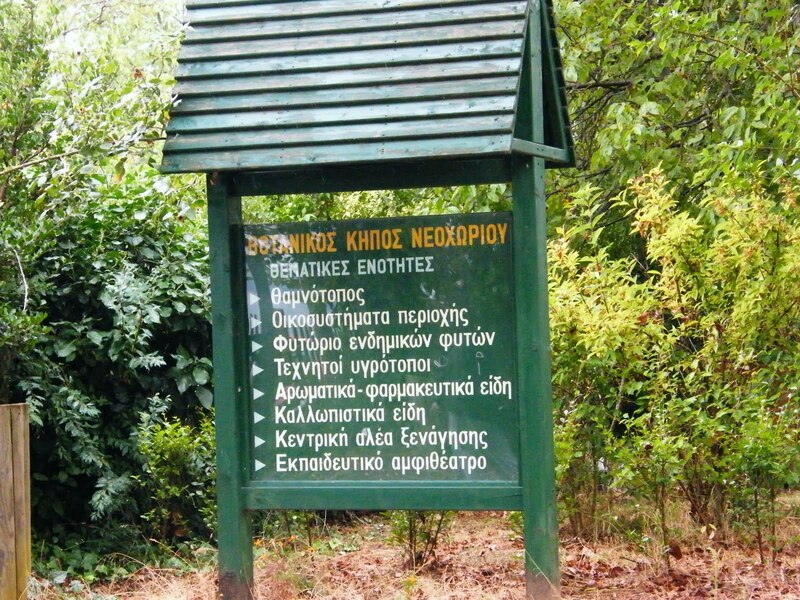 Twenty nine (29) plants are included in the catalogue for the preservation and protection of endemic, rare, and endangered plants of the Greek flora. Sixteen (16) plants are included in Presidential Decree 67/81. Eleven (11) plants are included under the Convention on International Trade in Endangered Species (CITES). Sixty two (62) plants are endemic to the Balkan peninsula. Seven (7) plants appear across the Balkans and in Anatolia (Asia Minor). The species Poa palustris and Veratrum nigrum are rare in Greece. Poa palustris is known in Greece in only one location near the Monastery of Korona (Scolz, 1986), while Veratrum nigrum is only reported in the Karoplesio area (Strid, 1991) and on the Grammos mountain range (Zaganiaris, 1940). In total, 43 plants from the area are characterized as interesting, rare and endangered.